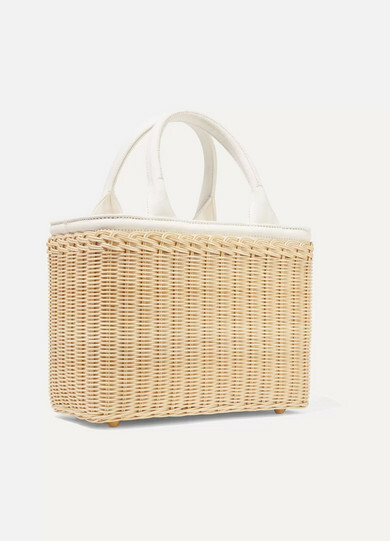 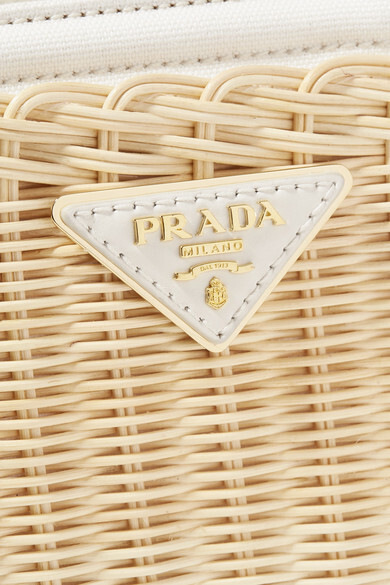 Prada updates its 'Giardiniera' tote in wicker, making it the perfect accessory for summer, whether you're in the city or heading somewhere more tropical. 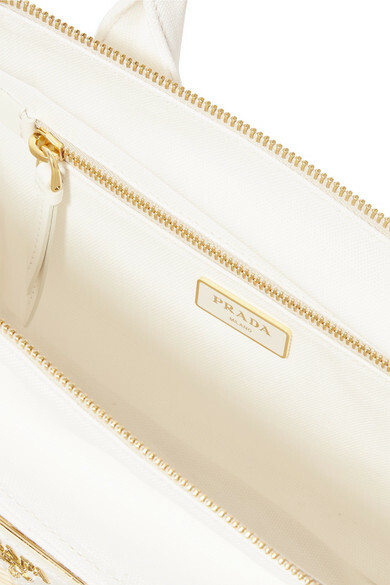 It's topped with white leather handles and has a compact interior fitted with pockets to secure smaller items. 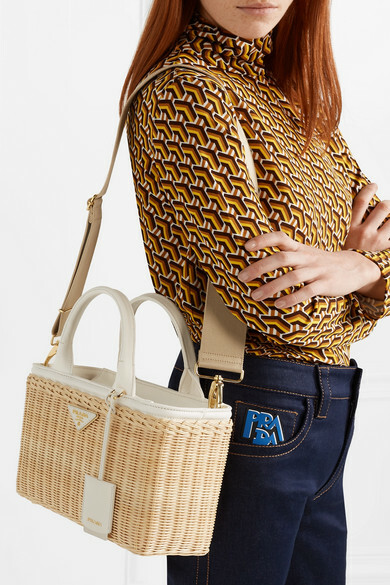 Attach the wide canvas strap to wear it over your shoulder when you have more to carry. 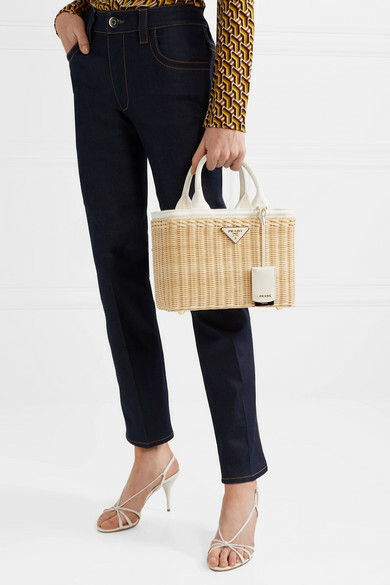 Shown here with: Prada Top, Prada Jeans, Prada Sandals.